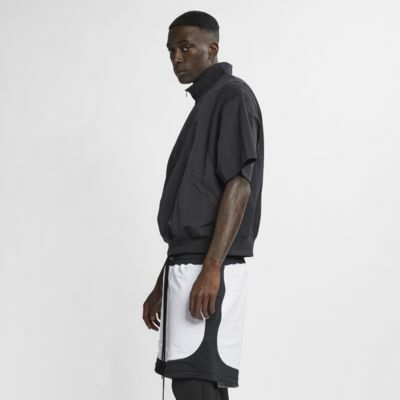 From the squeak of sneakers on hardwood to the echo of postgame footsteps, the Nike x Fear of God Jacket sets you up in versatile, comfortable style. Jersey-lined fabric has raw sleeve hems for a bit of attitude, while classic ribbing sings the praises of old-school basketball. Jersey lining is soft and wicks sweat. Raw sleeve hems add a dose of edge. Fabric: Body: 100% nylon. Rib: 98% cotton/2% elastane. Lining: 75% recycled polyester/13% organic cotton/12% rayon. From Fear of God and Nike comes a collaboration built from the fabric of small-town dreams. 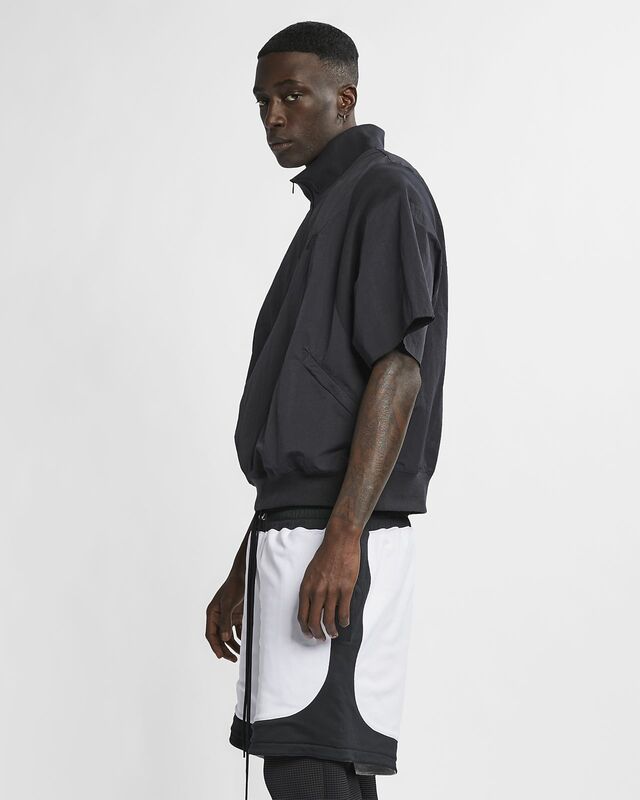 Inspired by the humble beginnings from which greatness rises, Jerry Lorenzo and Nike pay homage to the roots of performance sportswear. Designed for the grind, from plywood backboards to sold-out arenas, this collection blends functionality with fashion as a reminder to every athlete that All-Stars start somewhere. Have your say. Be the first to review the Nike x Fear of God.